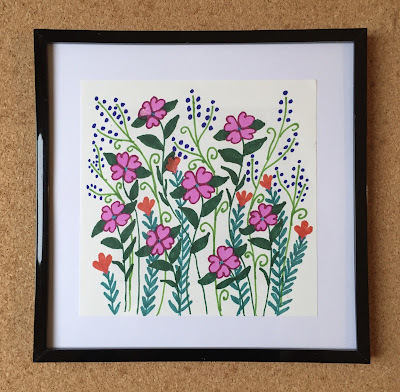 Yesterday I framed up some small drawings that I did back in August. 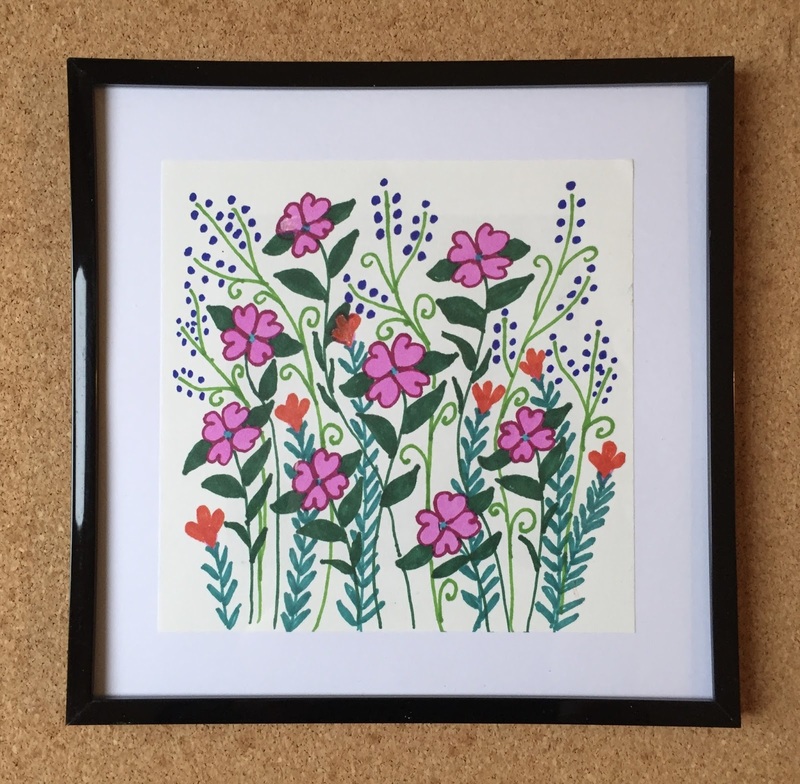 All of them are 6 x 6", flowers from my imagination, drawn with Sharpie fine-line marker, This one is called "Flowers for Dreamers," originally posted here on August 26. I really liked the way these drawings look framed. They will be in my studio at Porter Mill for Open Studios tomorrow.